The Daily Briefs are a comprehensive update of current affairs for the day. If you’d like to receive updates for current affairs every day, you’ll need to subscribe by entering your email address at the right side of this page. The previous Briefs can be accessed at the archives here. Haryana Government has launched “Paudhagiri campaign”, a program to increase green cover in the state. It was launched by Chief Minister Manohar Lal Khattar by planting “maulsari” sapling in Tau Devi Lal Sports Complex premises of Gurugram. The campaign aims increase green cover in the state, help in stabilising environment and improve overall climatic conditions, thus help in checking global warming. Under this campaign, 22 lakh students studying in Class 6th to 12th of all government and private schools will plant a sapling each, during three month. State Government will give incentive of Rs 50 in every six months from government, after student uploads his selfie with his or her plant. Union Ministry of Home Affairs (MHA) is going to create National Database of Arms Licenses system from April 2019, which will include names of all arms licence holders, new or old and they will be issued a unique identification number (UIN). The move is aimed at keeping tab on authorised private gun holders, many of whom are often found involved in crimes and celebratory firing leading to loss of lives. It will also eliminate possibilities of issuing arms licence to persons whose antecedents are not bona. The decision was taken by exercising powers under Section 44 of Arms Act, 1959 (54 of 1959) by amending the Arms Rules, 2016. These rules will be called the Arms (Second Amendment) Rules, 2018. State-owned defence electronics company Bharat Electronics Ltd (BEL) has signed memorandum of understanding (MoU) with Saab, Swedish aerospace and defence firm that serves global market with world-leading products, services and solutions in military defence and civil security. It is aimed for jointly marketing L-Band 3D air surveillance radar (RAWL-03) which is co-developed by the companies. RAWL-03 is long range air surveillance radar for early detection and tracking of air and surface targets. President Ram Nath Kovind has given assent to Assam Witch Hunting (Prohibition, Prevention and Protection) Bill, 2015 passed by State Assembly in August 2015. This law aims to reign in rising incidents of witch hunting cases across the state. It was prepared in lines with spirit of universal declaration of human rights, crimes in which hunting cases cause gross violation of basic human rights. It imposes up to 7 years of jail and fine up to 5 lakh rupees. This provision will come as per Section 302 (punishment for murder) of the Indian Penal Code (IPC) if someone is killed after being branded a witch. The Indian Institute of Technology (IIT)-Madras has commissioned remotely operable Local Electrode Atom Probe (LEAP) microscope. It is claimed to be world’s first remotely operable LEAP microscope, as it can be remotely operated through special terminal by researchers divided geographically. LEAP is high-performance microscope that can provide a precise atom-by-atom view of materials. 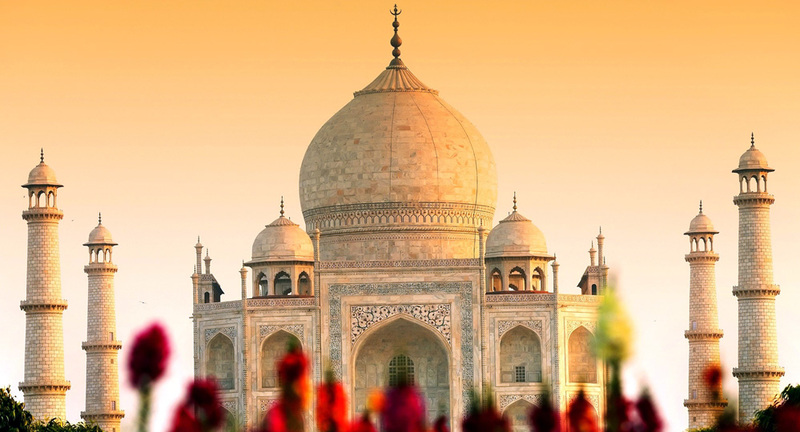 A High level Inter ministerial meeting was held on July 16, 2018 in New Delhi to deliberate on various issues and actions to be taken to conserve The Taj Mahal. The meeting was chaired by Union Minister for Road Transport & Highways, Shipping & Water Resources, River Development & Ganga Rejuvenation, Nitin Gadkari. To deal with air pollution, the use of bio fuel, green fuel and electric vehicles will be popularised in Agra. Some of the measures that will be taken up to deal with Water pollution in Yamuna include afforestation along the Yamuna, construction of rubber dam, solid waste management, developing a 35 KM long garden along the water front of Yamuna in Uttar Pradesh, Haryana and Delhi. The Union Ministry of Road Transport and Highways on July 17, 2018 notified the draft amendments to the Central Motor Vehicles Rules, 1989, making FASTags and Vehicle Tracking System device mandatory for all commercial vehicles obtaining national permit. The Ministry invited suggestions and objections to the proposed amendments by August 11, 2018. The draft amendments stipulate additional conditions for obtaining national permit that include display of the words “National Permit or N/P” in the front and rear of the vehicles in bold letters. Driving license and other certificates to be allowed in digital form. The 2018 Russia-United States summit was a summit meeting between United States President Donald Trump and Russian President Vladimir Putin (hence also known as the Trump-Putin summit). It took place on July 16, 2018, in Helsinki, Finland. The Finnish Ministry of Foreign Affairs officially titled the summit as the HELSINKI2018 Meeting. It was hosted by the President of Finland Sauli Niinistö. The event marked the first official meeting between the world leaders. The United Kingdom has been ranked at the top in the 2018 ‘Soft Power 30’ index, which was published by the UK-based strategic communications consultancy firm Portland and the University of Southern California Center on Public Diplomacy. The index, which comprises a ranking list of 30 countries, does not feature India. In the fourth edition of the annual Soft Power 30 Index, the United Kingdom (80.55) narrowly beat France (80.14) to regain the top spot in 2018, a position it last held in 2015. The Soft Power 30 index is the worlds most comprehensive comparative assessment that combines objective data and international polling to build the clearest picture of global soft power to date. The 2018 Soft Power 30 report aimed to focus on the importance of soft power in protecting, maintaining, and ultimately renewing the rules-based international order. Check out the CLATGyan Test Series 2019 : 30 Simulated Online Tests + Personal Mentor | Run entirely by the students of NALSAR University of Law. 1. Which state has launched the Paudhagiri campaign? 2. National Database of Arms Licenses system is going to be created by? 3. With which of the following company Bharat Electronics Ltd (BEL) has signed memorandum of understanding (MoU)? 5. Which institute has commissioned first remotely operable Local Electrode Atom Probe (LEAP) microscope? 6. Helsinki summit is a meeting between which of the following pair of countries? 7. Which country has been ranked first in "Soft Power 30" index 2018?